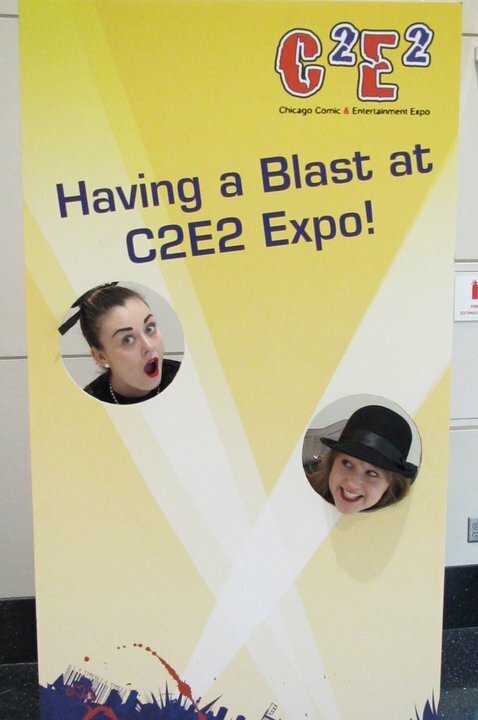 Get Your Geek On: C2E2 is back! The Chicago Comic & Entertainment Expo (C2E2) is returning to Chicago on April 13-15 for its third year, and it’s bigger and better than ever. Think pop culture: artists, actors, chefs (like culinary master Stephanie Izard), creators, authors, tatoo artists. Really cool stuff! And if you’re up for it, you can dress up. Think of this is an opportunity to show off your inner superhero. Posing for the camera at the 2011 event! C2E2 and the Art Institute of Chicago will host a joint panel on comic and fine art. The panel will take place on the eve of this year’s C2E2 and also presages the Art Institute’s major summer exhibition, Roy Lichtenstein: A Retrospective (May 16 – September 3, 2012 in Regenstein Hall). Comic Art and Fine Art will be presented April 12, 6:00pm – 7:00 pm in the Rubloff Auditorium at the Art Institute of Chicago and is free with museum admission. Legendary Chicago actor, John Cusack will be participating in a Q&A session and show a trailer for his new Edgar Allen Poe thriller The Raven on Sunday, April 15. The independent period movie, which will be released on April 27th, is directed by James McTiegue and tells the fictionalized account of the last days of Poe’s life in which the poet teams up with a young Baltimore detective to hunt down a serial killer who uses Poe’s works as the basis for his murders. This entry was posted in Arts/Culture/Entertainment, Family and tagged Art Institute of Chicago, C2E2, Chicago Comic & Entertainment Expo, John Cusack, speed-dating. Bookmark the permalink.